These guidelines are general and exceptions can be made only by the Senior Director of Libraries. 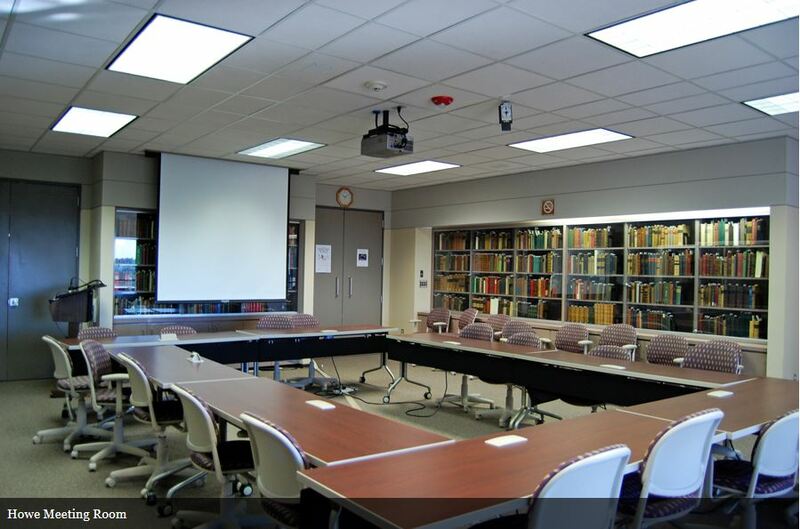 The purpose of the Library’s meeting rooms is to support the programs and mission of the University. The John P. Howe III Howe Conference Room, located on the fifth floor of the Briscoe Library, may be reserved for special university functions by UT Health faculty and administrative staff. Since this room houses more than 1500 rare books, special security and safety regulations in addition to general library policies must be observed at all times. Also, please note that this room is kept at a cooler temperature for preservation of the books. Bringing a sweater or jacket is recommended. Library meeting rooms are for the use of UT Health San Antonio students, faculty and staff. The requestor must be affiliated with UT Health, and the program must be sponsored by either a department or organization affiliated with UT Health. Reservations are on a first come/first served basis. To make a reservation in the Howe Room, fill out this form. Contact 210-567-2450 or email to AskaLibrarian@uthscsa.edu with questions. The Howe Room may be used for group study on weeknights 6 pm - 7 am, and any time on weekends. Reservations: Monday-Friday, 7:00 a.m. – 6:00 p.m. Features: Room-wide wireless. Podium, laptop, screen, projector. General conference/meeting room. Tables have built-in electrical outlets. Groups using the Howe conference room are responsible for making any food and/or refreshment arrangements prior to the meetings. If University catering services are used to cater the event, the main library entrance may be used: however, serving carts must be covered and the service elevator should be used. Other caterers should use the service entrance on the library’s south side. Contact (210) 567-2214 or email av_support@uthscsa.edu. Allow at least one week prior to scheduled class.